Rescuers named them Cider, Maple, Chestnut and Pumpkin. When Mr. Bones & Co. got a call about a litter of puppies in North Carolina, rescuers were immediately shocked, confused and heartbroken. 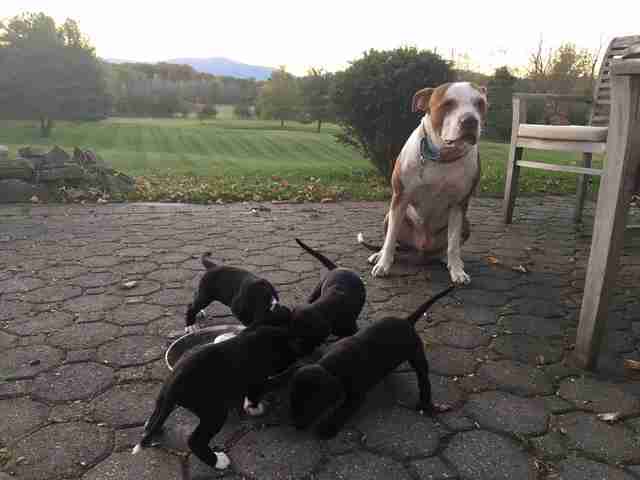 The puppies belonged to a mother dog they’d rescued litters from before — and the owner had told the rescue he would have her fixed so she wouldn’t have any more puppies. Dismayed that he hadn’t followed through, the rescue set about making arrangements to take the puppies in. Before going to get the puppies, the rescue was told that there were 10 of them, and they were around 7 to 10 weeks old. When they arrived at the home, they found a very different reality — the puppies were only 7 to 10 days old, and six of them had tragically passed away, leaving only four. Typically, a rescue will try to keep a litter of puppies with their mom when they’re that young. 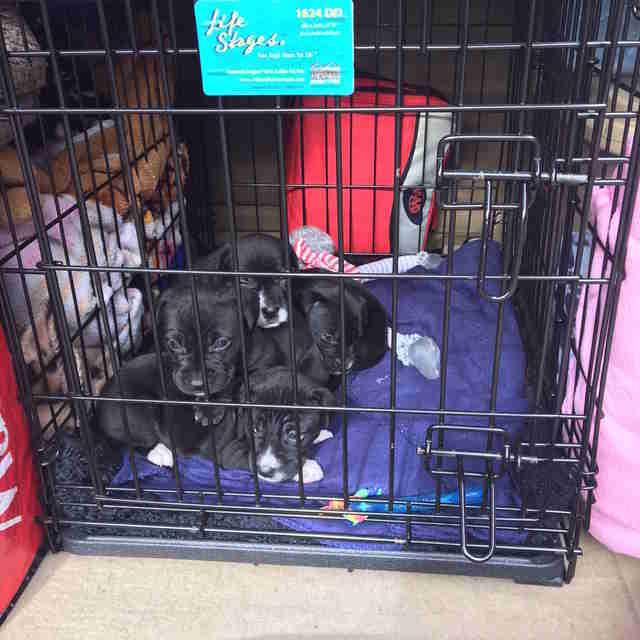 But because of the circumstances, they made the very difficult decision to rescue the puppies rather than leave them with their mom — as long as the owner allowed them to get the mom fixed before they went back to New York with the puppies. The owner agreed, and the mom dog was thankfully spayed. The man loved his dog very much and was unwilling to give her up, but the rescue knew that now that she was fixed and could no longer have any puppies, she would be well taken care of. 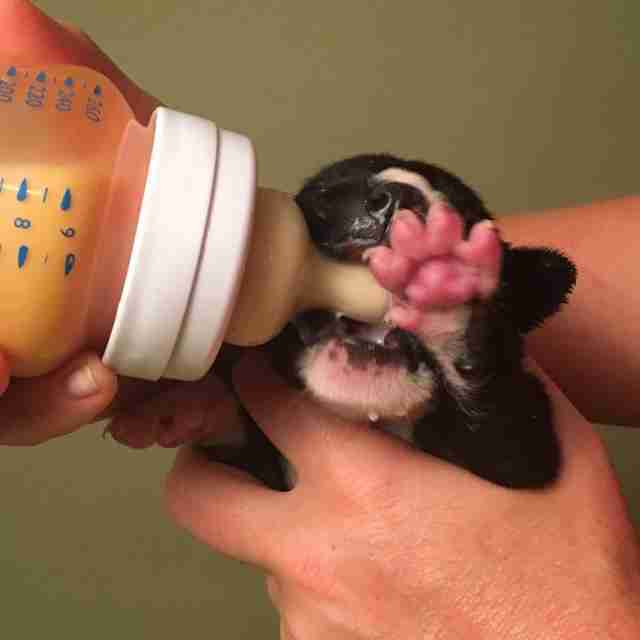 It was hard to leave her behind while taking her tiny, newborn puppies with them, but rescuers knew they were doing the right thing for both the mom and the puppies. 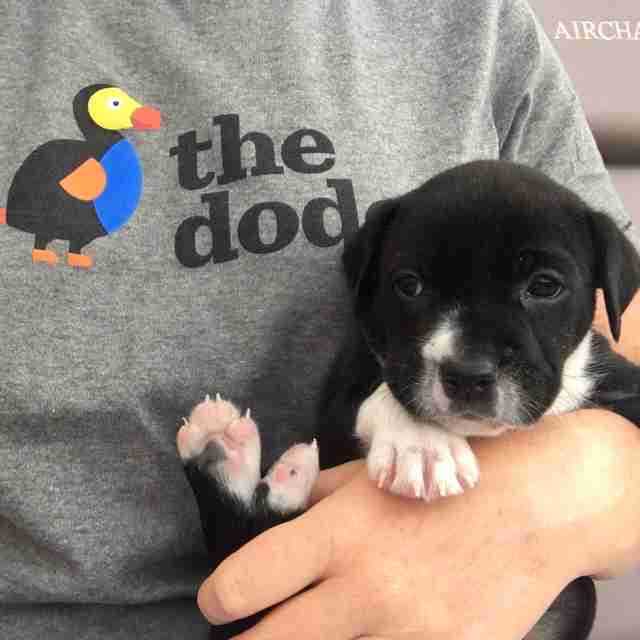 Because the puppies were so young, they immediately went into foster care with Elli Frank, founder of Mr. Bones & Co., and had to be bottle-fed around the clock. It was touch and go for a little while, and Frank was worried that she might lose the puppies, especially the runt of the litter. 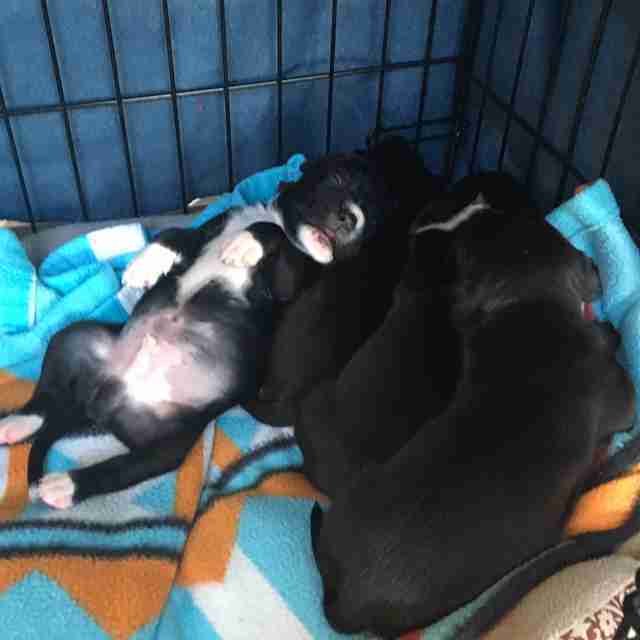 They were so tiny and had fleas when they arrived, and the odds seemed so against them — but every day, the puppies shocked her with their resilience and will to live, and slowly but surely, they began to grow into healthy, happy little puppies. 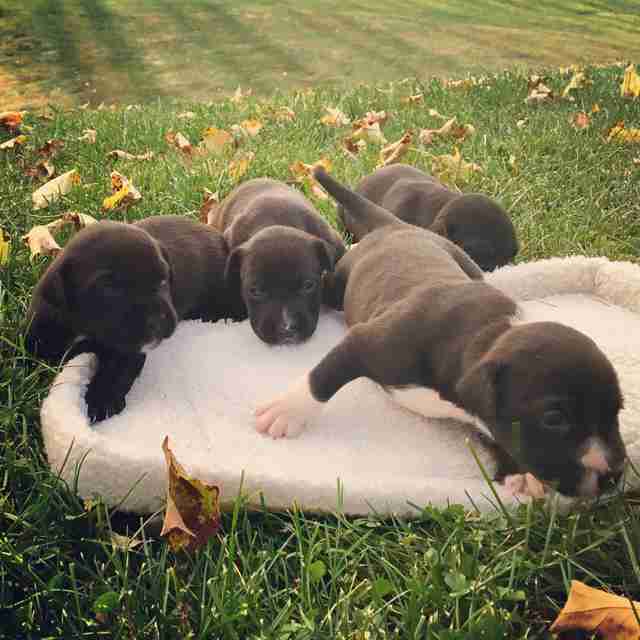 The four puppies are now 5 weeks old, and couldn’t be more adorable if they tried. Everyone who knows them and their story is having so much fun watching them grow and develop into the sweetest, most wonderful little dogs. 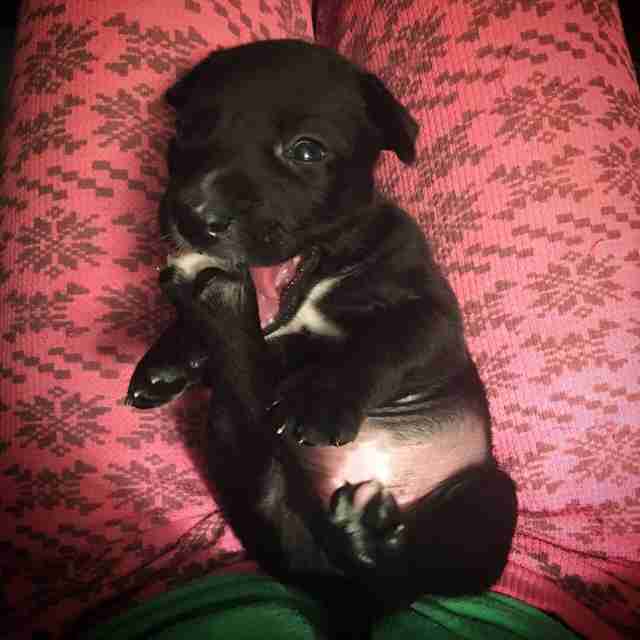 The puppies still have some growing to do before they’ll be ready to go off and find their forever homes, but once they’re 8 weeks old, they will be available for “foster-to-adopt,” meaning their adoptions will be finalized after four weeks, once they’ve been fixed, vaccinated, etc. 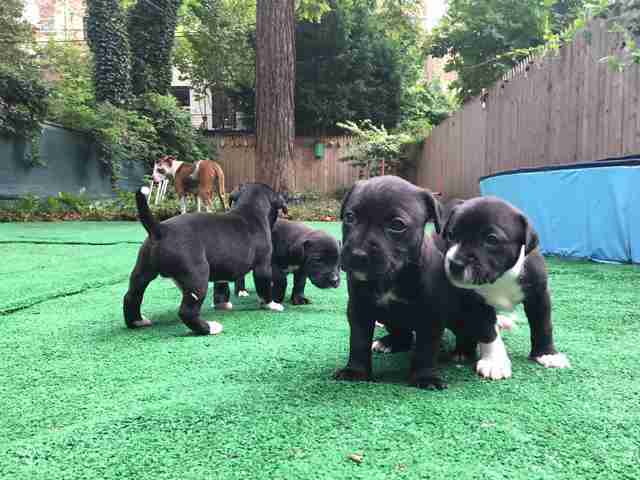 For now, though, the little puppies still only weigh around 2 to 3 pounds each — which is hard to believe, because they’re mastiff mixes, meaning eventually, they will be huge. When Frank has all four of them on her lap, she marvels at the fact that she probably has around 400 pounds of future dog sitting on her at that moment. The sweet puppies with fall-themed names had a very unusual, shaky start to life, but luckily the right people found them and did the right thing, and now they’re thriving, and excited to eventually go off to their forever families. If you’re interested in fostering-to-adopt Cider, Maple, Chestnut or Pumpkin, you can contact Mr. Bones & Co. Rescue for more information.